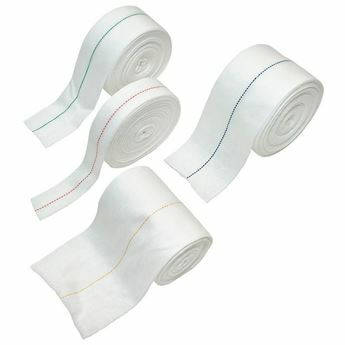 Digi-Extend Hand Exerciser package includes 16 bands (4 each: tan, yellow, red, green). 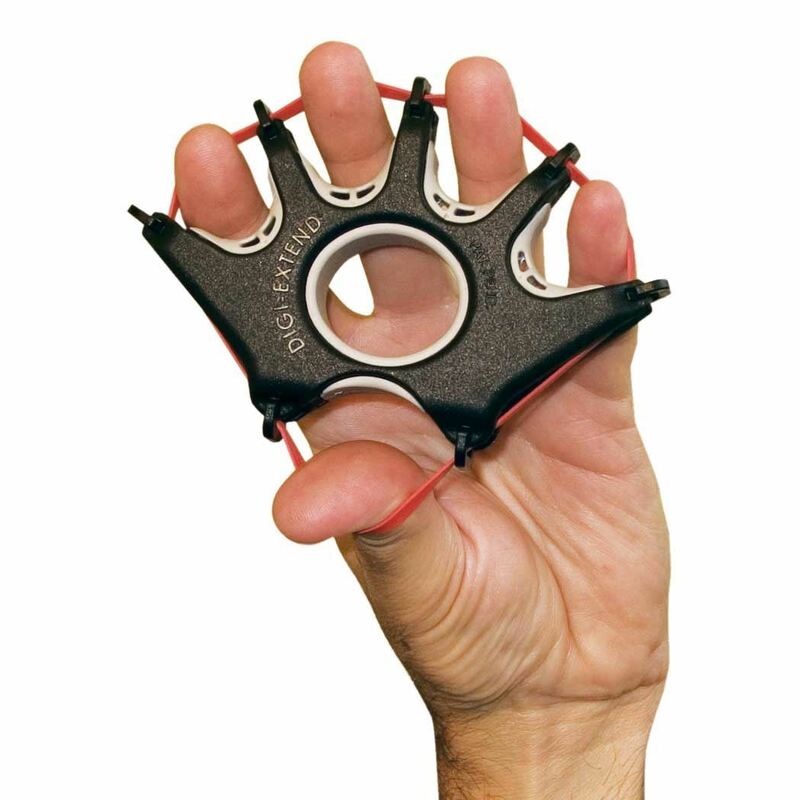 The Digi-Extend device can isolate the extension of all five fingers and each of the individual finger joints. 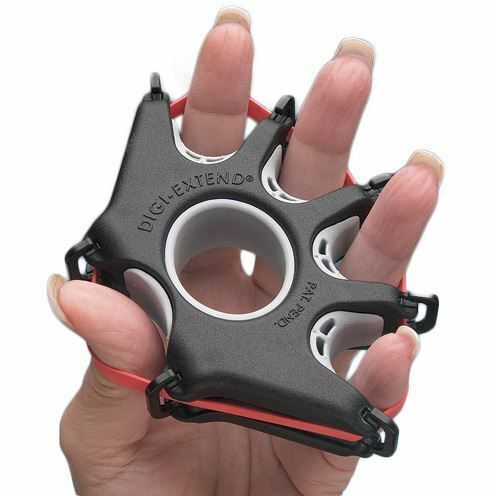 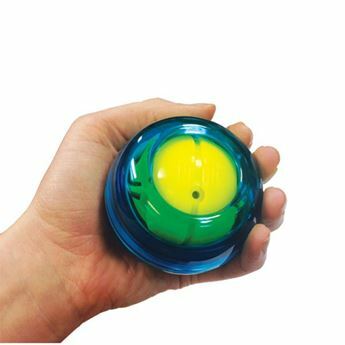 The product strengthens the intrinsic and extrinsic muscle groups to maximize extensor tendon gliding, joint motion, coordination, and muscle function in the hand and forearm. 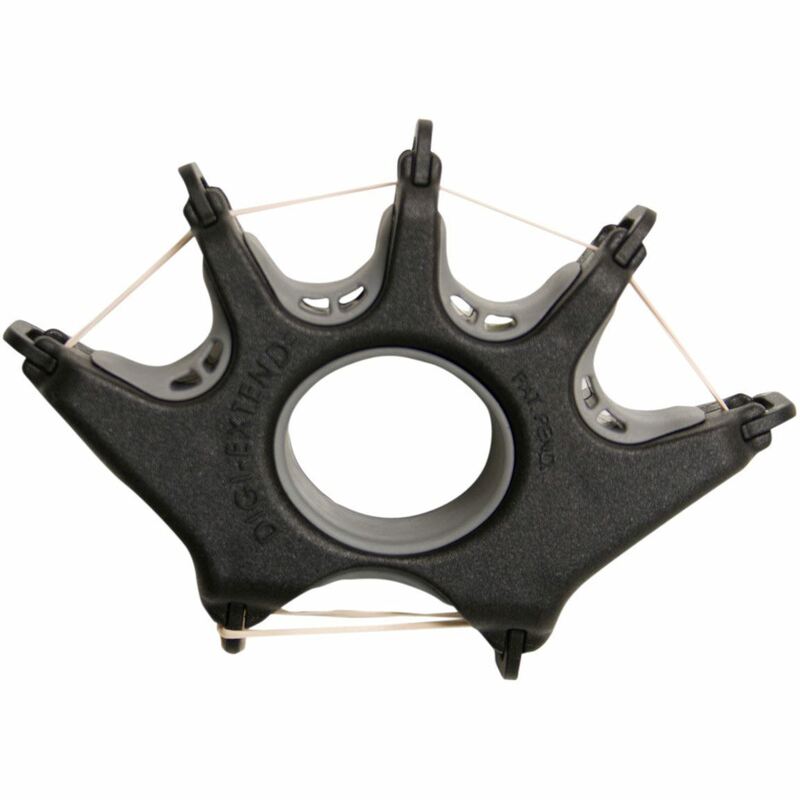 The Digi-Extend focuses on the extensor mechanism of one or all fingers as it targets the area of the hand that needs rehabilitation. Patients can easily change the resistance levels and vary their hand positions for specific exercises to help maximize the exercise goals and prevent injury. 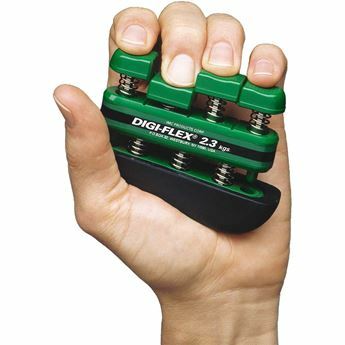 The Digi-Extend can also be used for finger adduction, abduction, blocking, and flexion exercises.